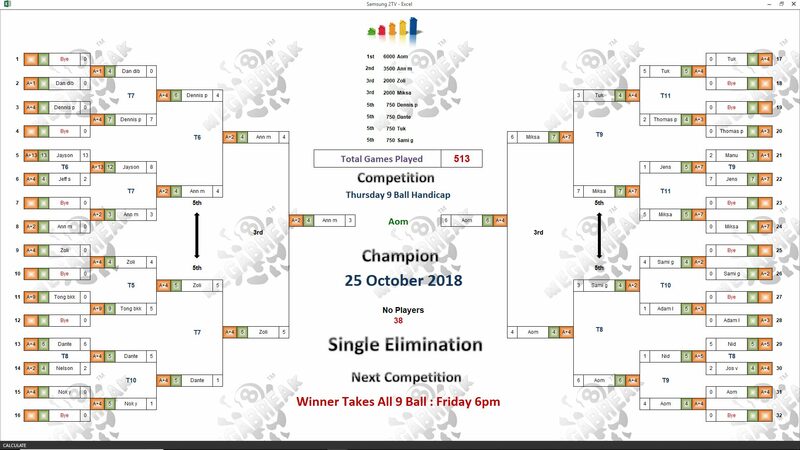 THURSDAY 9 BALL – 25th OCTOBER : AOM WINS. 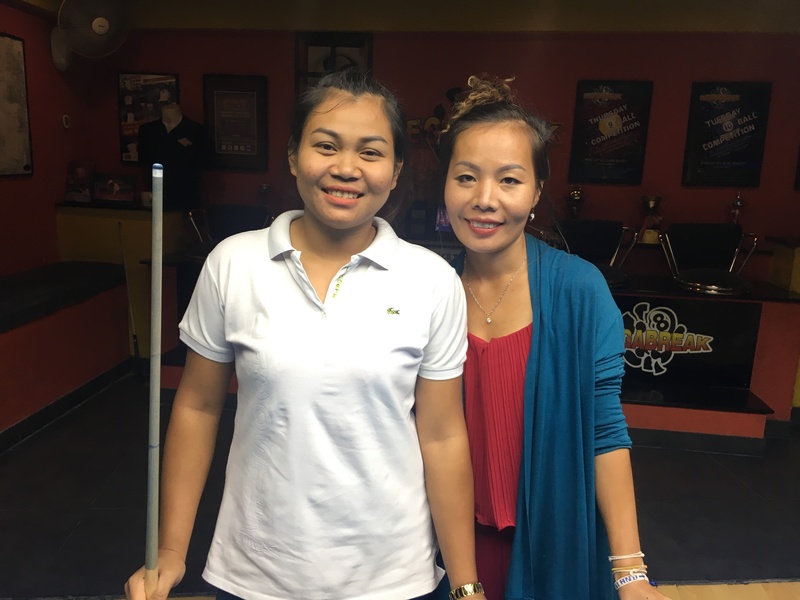 It was Ladies night at Megabreak last night for our 9 Ball Competition, with both finalists being females. 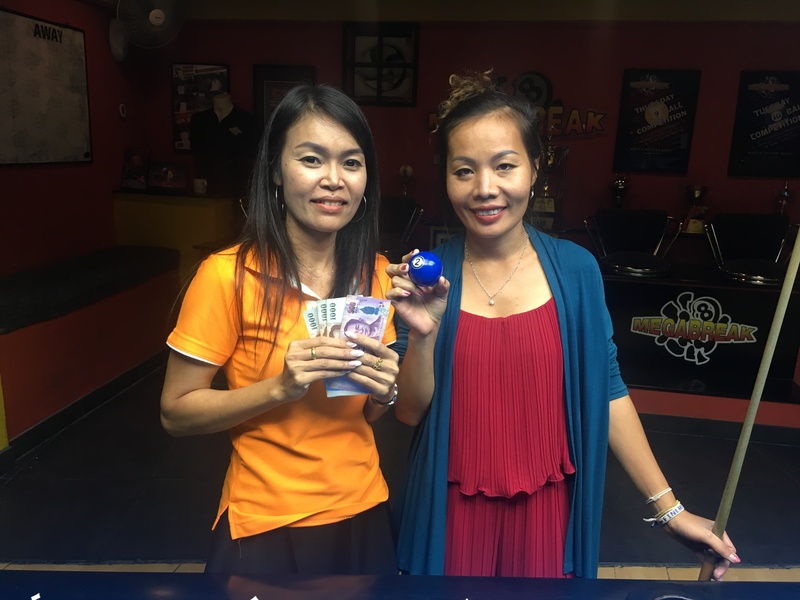 Another massive entry of 38 players took their chance, and it was Aom Nantaporn Chomthaisong who came through the pack to pocket the 1st Prize of 6000 baht. 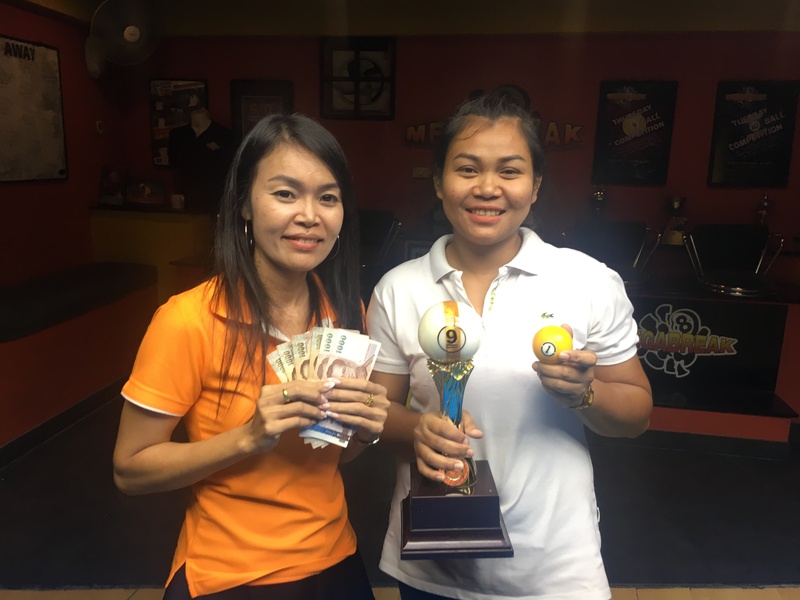 In the final she beat fellow Thai, Ann Muy Moolkesorn in the deciding rack (race 6-4) to claim victory and lift the trophy. 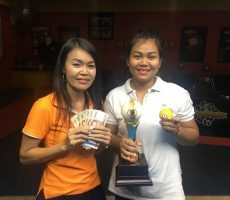 Ann played well in her first tournament here for eight months to reach the final, before losing out to Aom by the narrowest of margins, and took home 3500 baht as Runner-Up. Miksa Vlasov from Finland reached his second consecutive semi final, along with Zoli Pocza from The USA, and they each collected 2000 baht prize money. Champion : Aom (A+4) – 6000 baht. Runner-Up : Ann (A+2) – 3500 baht. 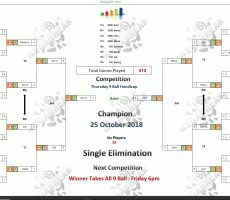 Semi-finals : Miksa (A+7) and Zoli (A+4) – 2000 baht each. 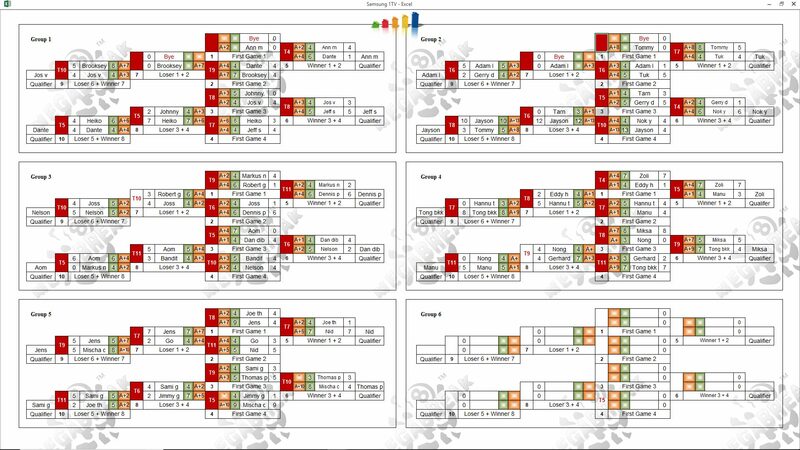 Quarter-finals : Dennis Presiloski (A+4), Dante Sison (A+4), Tuk Richmond (A+4), and Sami Granqvist (A+2) – 750 baht each. The Player Auction Prize Pot totalled 37200 baht, and was won by Aom’s friend Par Radardow Inamka. 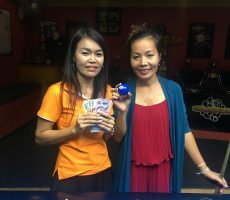 She paid just 800 baht for our winner, and they shared the 1st Payout of 10800. 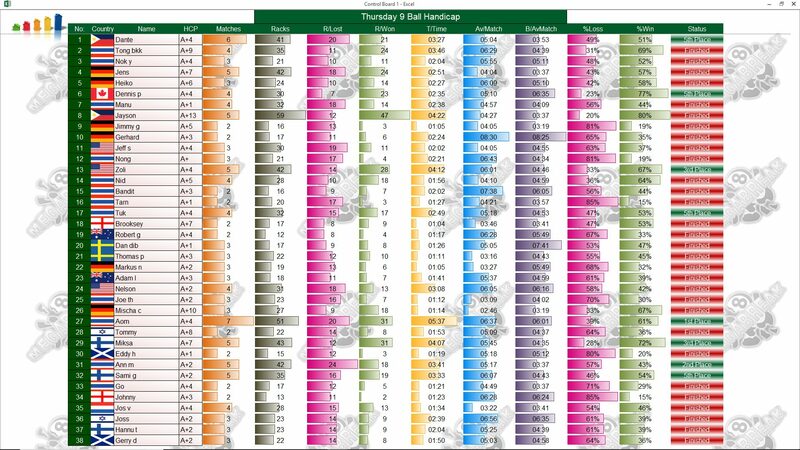 1st (30%) : Par (Aom) – 10800 baht. 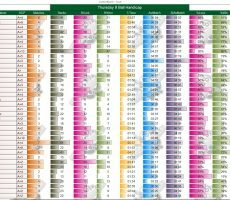 2nd (22%) : Brooksey (Ann) – 8000 baht. Equal 3rd (12%) : Robert Goodfellow (Miksa) and Zoli (Himself) – 4800 baht each. Equal 5th (6%) : Jeff Schmitt (Dennis), Heiko Kadel (Dante), Par (Tuk), and Me (Sami) – 2200 baht each.